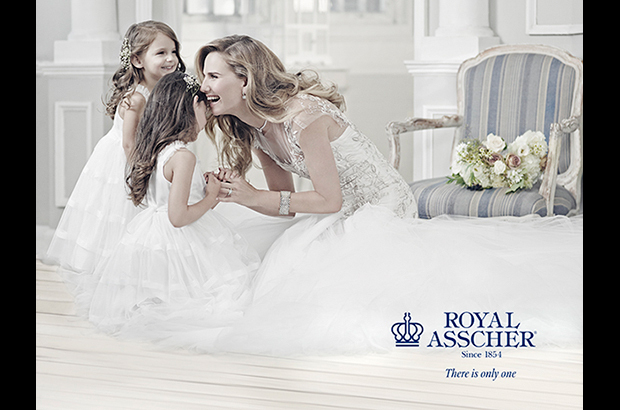 Royal Asscher is introducing the new cut at JCK las Vegas tomorrow as part of its “Seventy Four” Collection, and the company is launching a huge global campaign to promote the collection. The hottest continuing trend in luxury jewelry couture is becoming iconic: high karat gold mixed with bright vivid colored gemstones in one of a kind high-end designs of premium craftsmanship. Just a couple of the exceptional designer pieces to see at The Couture Show JCK Las Vegas May 28-June1. 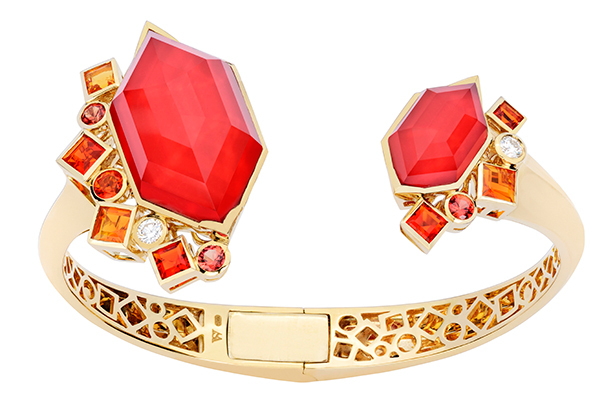 Bracelet from Couture designer Stephen Webster’s new “Gold Struck” collection in 18-karat yellow gold with quartz red coral, fire opal, white diamonds and orange sapphires. Nordstrom customers can now buy merchandise, including fine jewelry (Lana Jewelry shown), by text message through a new service called TextStyle. This just launched service allows customers who are using Next (a cloud-based secure and private texting product Nordstrom developed and launched last year) to buy from their salesperson or personal stylist via text. Nordstrom, a publicly traded Seattle-based Washington State department store chain with 304 stores in 38 states plus Canada, is the first and only retail company in the United States to offer consumers the ability to shop and buy with a simple opt-in text-messaging service. (1) To obtain Next, a customer must go into a Nordstrom store and ask a salesperson to provide a personal Next text number. The customer then receives a text message and replies “YES” to opt-in to the service, which enables the customer and salesperson to communicate by secure and private texts. (2) Customer uses the Next account to opt-in to TextStyle. This allows the salesperson to send a photo and description of a product that the customer might like based on customer’s known tastes and past purchase history. The service also allows the customer to contact the salesperson with specific requests – for example, a piece of jewelry to go with a party dress. (3) To purchase the product, the customer simply texts back “BUY” with a unique code, and the purchase is completed using the customer’s Norstrom.com account. (4) The product is shipped to customer via FREE standard delivery. Nordstrom embraced technology and mobile commerce last fall with it’s “Like2Buy” Instagram account where Instagram users can click a link on a product they like from Nordstrom’s profile page to visit the Nordstrom website and purchase the exact item. Sparing the investigative journalist years in prison and fines totaling more than $1 million, a Luanda Tribunal dropped all 24 criminal charges against Rafael Marques de Morais, who was put on trial for criminal defamation and other claimed offenses by the generals and companies named in his 2011 book, Blood Diamonds: Corruption and Torture in Angola, which details hundreds of cases of torture and killings allegedly carried out by guards of private security firm Teleservice and soldiers in the Angolan Armed Forces in the Lunda Norte Province of northeastern Angola. In exchange for dismissal of all charges, de Morais agreed not to republish the book and also publicly acknowledged that the generals might not have known the violations were occurring. As part of the formal settlement, the generals have agreed to ensure that human rights conditions in the region are improved and will allow de Morais continued access to monitor conditions in Lunda Norte. Sarah Hager of Amnesty International announced the decision as a “huge victory for human rights and freedom of expression in Angola.” Brian Leber of Leber Jeweler Inc. in Chicago, the company that signed a statement with Tiffany & Co. urging the Angolan government to drop all charges against de Morais, stated that the jewelry industry has a long way to go before the phrase “conflict free” truly lives up to it claims. Jewelers struggled for years to sell gold during the economic downturn in the US, but the World Gold Council’s Gold Demand Trends report that the demand for high karat gold jewelry in the United States has continued to go up every quarter since the first quarter of 2014. While US consumers are cautious in their spending, the general mood is one of guarded optimism as economic growth and household wealth rises. However, with respect to fine jewelry and watches in the United States, this past March marked the sixth consecutive month in a row of weak consumer demand, and revised government data for specialty jewelers shows that their market share has slipped to 39% (down from nearly 75% just 4 decades ago). This means that shoppers are purchasing more inexpensive fashion jewelry and less expensive gemstone jewelry. Despite vigorous promotions, there are fewer shoppers and lower average ticket sales for specialty retailers, which proves they are far from recovering to pre-recession sales levels. The revised data also showed that overall jewelry sales in the US were down for both the 2013 and 2014 holiday seasons (not just in 2014 as previously reported). The expectation for 2015 is that jewelry sales will be flat with even a further small decline for specialty retailers from 2014 lows. This news suggests that diamond merchants will have little or no pricing power and that other jewelry suppliers will hold prices at 2014 levels. I LOVE LOVE LOVE! 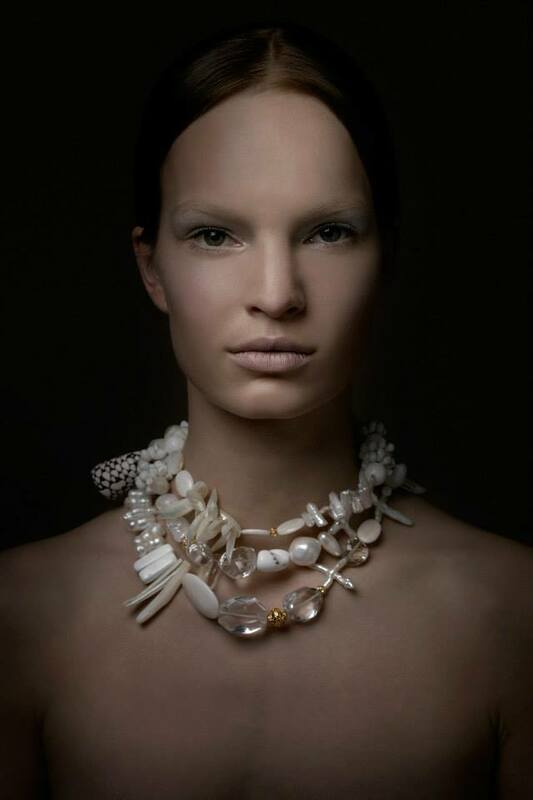 Natalie Dissel Jewelry. Natalie Dissel lives in the Netherlands and speaks 5 languages (Dutch, English, German, Indonesian, and Spanish, though not all fluently). 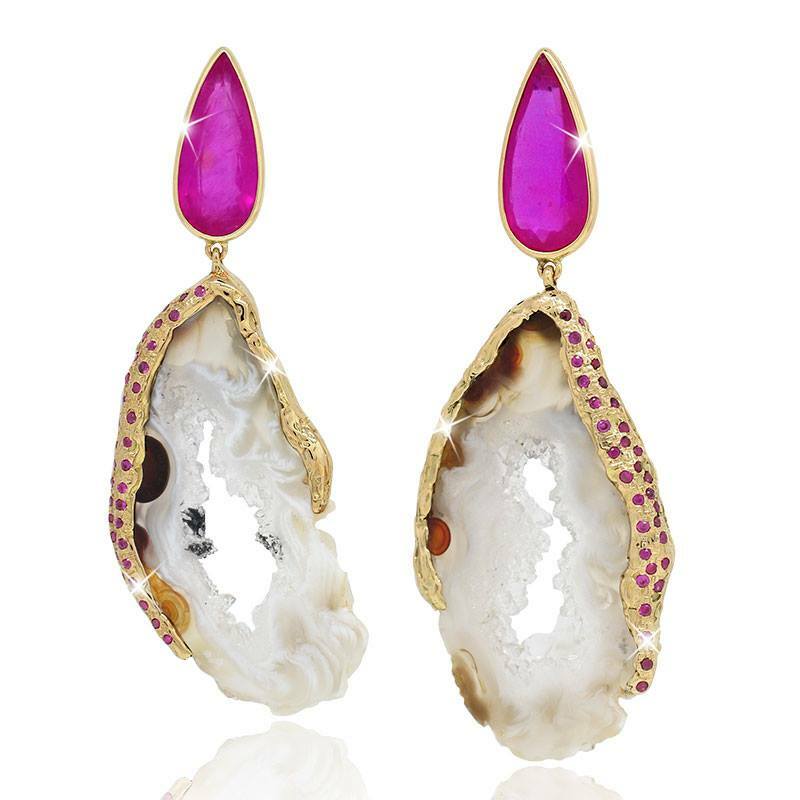 However, Natalie’s jewelry is magnificently fluent, and poetic, in celebrating breathtaking gems and minerals in their most sensuous raw forms. Natalie Dissel Jewelry reflects Natalie’s adventurous travels, and some of her organic designs are large, artistic bold pieces of wearable art. Natalie highlights the natural qualities of stones, and sources gems from all over the world, including Africa, Europe, and Thailand, and she even buys rare specimens from collectors. 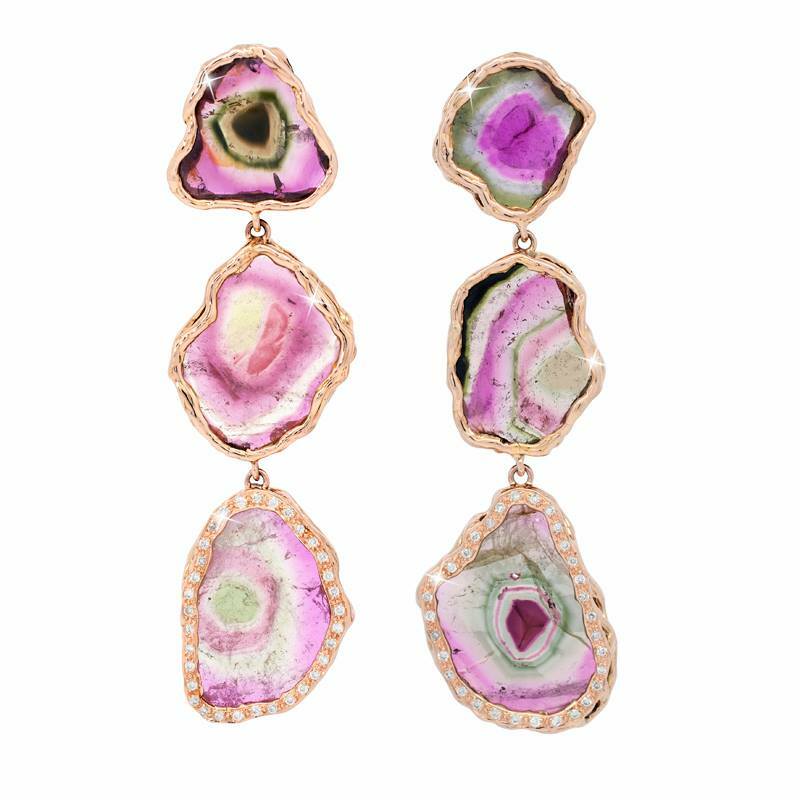 Drawing inspiration from nature’s texture, Natalie’s playful ideas are transformed as she combines “eccentric materials” (exceptional minerals and rare gemstones) into her extraordinary collections of exclusive high-end jewelry. 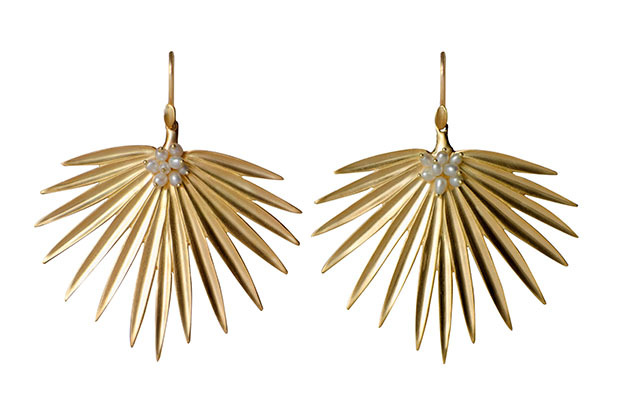 Natalie Dissel Jewelry deservedly received the 2014 Rising Star Award (JCK Las Vegas). And, Natalie is on her way to exhibit soon at The Couture Show in Las Vegas. With National Jeweler naming Natalie Dissel Jewelry as one of 24 new exhibitors to see at this event, no doubt this show will be a smashing success for Natalie! 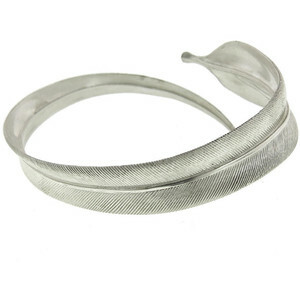 I am honored to showcase a few stunning pieces of Natalie Dissel Jewelry here. I LOVE LOVE LOVE! 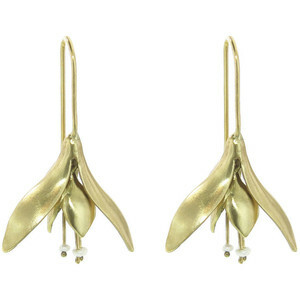 these bold and intriguing rainforest gold earrings with dainty white pearls by Annette Ferdinandsen. 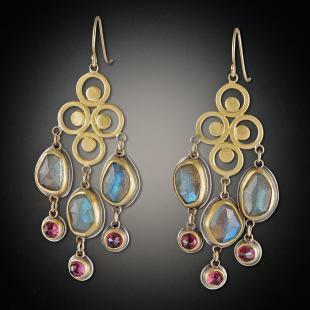 National Jeweler named Annette one of 24 new exhibitors to see at the upcoming Couture Show in Las Vegas. 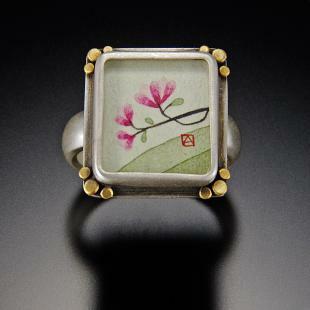 All of Annette’s work is beautiful, and I showcase a few more of her pieces below. 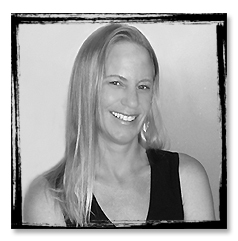 Annette moved from Los Angeles to attend and graduate from the prestigious Rhode Island School of Design. 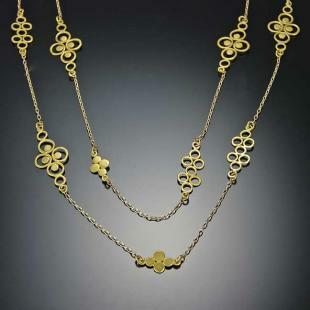 Annette’s original work in sculpture and bronze casting eventually lead her to master jewelry design. 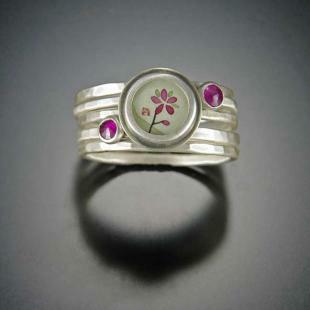 Annette’s studio is in upstate New York where she is inspired by all the nature around her and in the world. 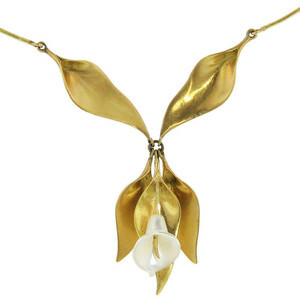 Nature is Annette’s treasure and her pieces evoke movement with subtle curves, sculptings, and etchings, often in themes of leaves, feathers, petals, and shells. 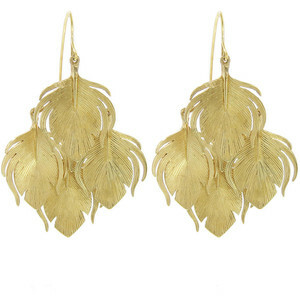 Annette’s modern, wearable interpretation of nature reflects the organic beauty of her graceful work. Jewelry by Annette Ferdinandsen is available for purchase online at ylang23.com, twistonline.com, and other online retailers, as well as at Ten Thousand Things in New York City and other in-store retail locations. Click here to visit Annette’s website for a complete list of locations. I LOVE LOVE LOVE! Ananda Khalsa Jewelry. 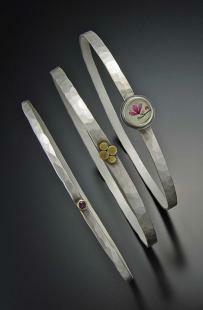 Each piece is designed and hand fabricated in Ananda’s studio located in Northampton, Mass. 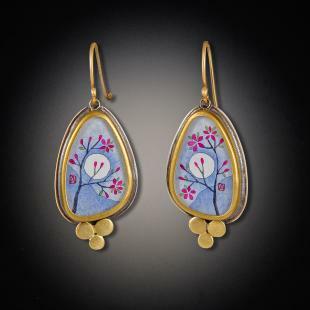 Ananda works in high karat gold and silver with beautiful colored gemstones, and some of her pieces contain an original paper painting set behind crystal. 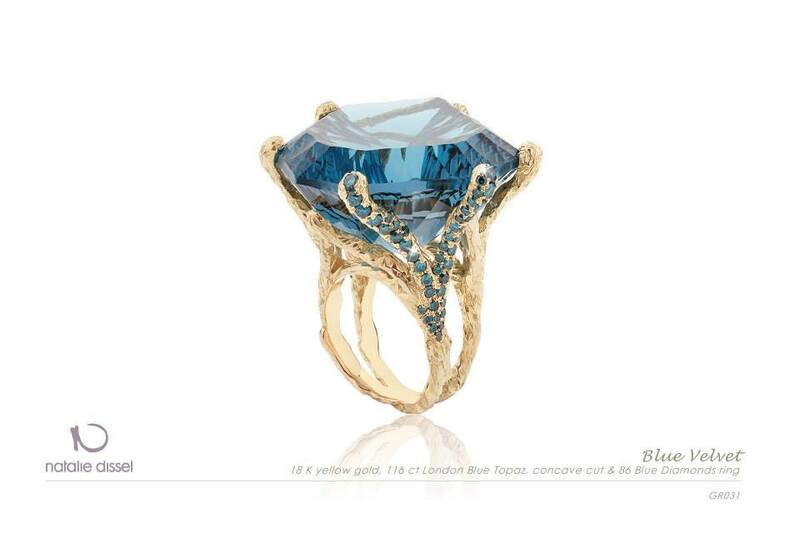 Ananda Khalsa Jewelry has been named as one of 24 new exhibitors to see at The Couture Show from May 28th to June 1st at the Wynn in Las Vegas. Click this link to visit Ananda’s website – see her breathtaking jewelry, and read about her symbolic design inspirations. Generating double-digit growth rates, Pandora’s total global sales reached $532.8 million this past quarter – up 37% from first quarter 2014, and its gross margin slightly increased as well. In addition to the Pandora Brand e-commerce store in the US that is independent of its retail partners, Pandora is focused on increasing its company owned and operated stores worldwide by opening more than 325 new concept stores this year. To focus efforts on this effort, Pandora officially pulled its jewelry from 105 “underperforming unbranded” stores in the Americas – most located in the United States. 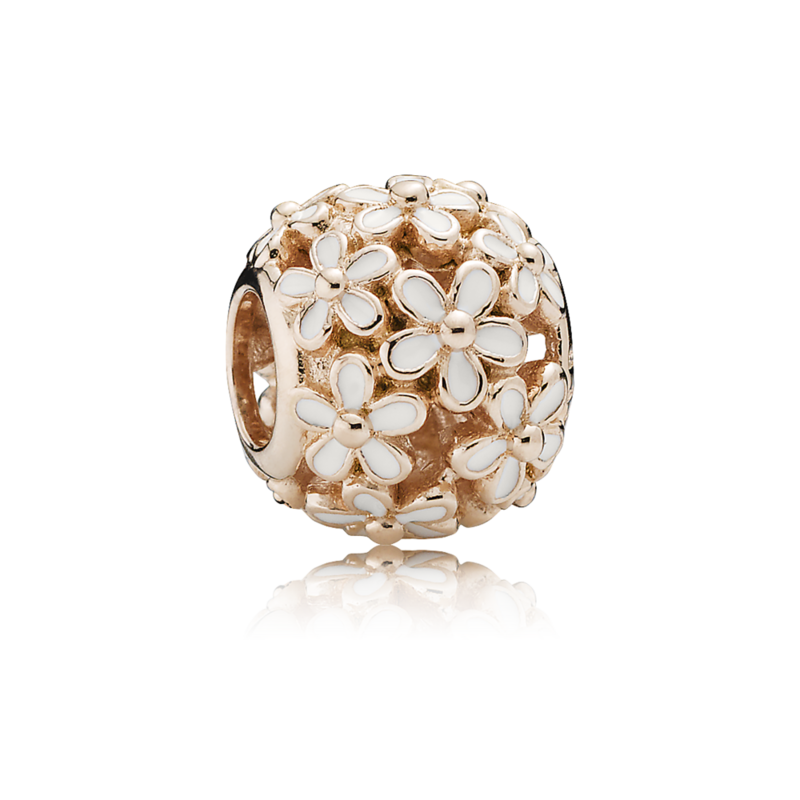 The Pandora closures occurred with retailers that were not heavily branded. 71 were “silver” retailers that carried a medium-sized assortment of Pandora product with less in-store branding than gold-level retailers. 34 were “white” retailers that carried a limited assortment of Pandora product, and the rest were travel retail locations. 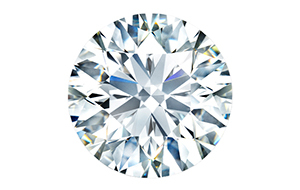 The Gemological Institute of America (GIA) – the developer of the 4Cs in diamond grading currently used worldwide – released a trade notice warning that approximately 500 colorless to near-colorless diamonds previously submitted to GIA’s grading laboratory in Israel may have been potentially subjected to an undisclosed temporary treatment that resulted in a color grade up to three grades higher than the stone’s actual color grades. GIA learned of the problem when a buyer of one of the stones returned the stone to GIA for reexamination because over time the stone’s color appeared a much lower color grade than what he paid for. GIA believes that a potentially new treatment may have temporarily masked the body color of the diamond, which caused the resulting high color grades from the GIA lab. GIA notified all appropriate authorities (diamond bourses) and terminated client agreements with 4 submitting companies that it believes knew of the treatment and failed to disclose it. GIA will not issue a confirmed treatment statement until the recalled stones have been re-examined and it can make definitive conclusions. With the vast majority of stones sized at 1 carat or larger, and a number in the 3-5 carat range, a 3-color grade jump would cause a huge price increase for these stones. The Israel Diamond Exchange called an emergency meeting of its board of directors and is implementing procedures to identify the suspects and take needed measures. Niveet Nagpal, a GIA Graduate Gemologist, who is the president and head designer of Omi Prive` in Los Angeles, designed the 18kt ring (shown) that won the GRAND PRIZE in JCK magazine’s 2015 Jewelers’ Choice Award for “Best Ring Design Over $10,000” and WINNER of W magazine’s 2015 Readers’ Choice Awards. 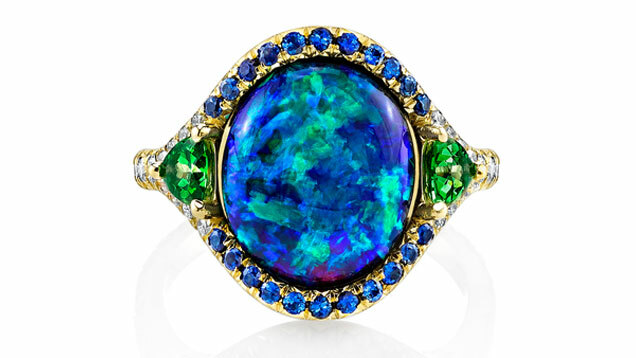 The ring features a 4.33 carat Lightining Ridge black opal, green tsavorite garnets, blue sapphires, and white diamonds. 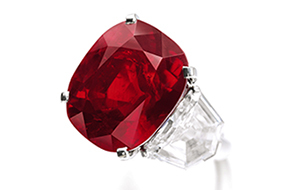 Geneva: “Sunrise Ruby” Bidding Soared to $30.3 Million! Juicy Jewelry News! previously reported that high-end jewelry sales were setting auction records again in 2015 as they had in 2014. There is global demand for the finest diamonds, gemstones and signed designer pieces. Sotheby’s May 12th auction sale of Magnificent and Noble Jewels in Geneva achieved the highest-ever total at $160.0 million, dethroning Christie’s November 2014 auction sale in Geneva of $150.2 for Magnificent Jewels. 3 world auction records were set on May 12th, including “Sunrise Ruby,” a ring set with a 25.59 carat Burmese ruby (shown), which lit up the auction world when it sold for $30.3 million. Mozambique is the world’s leading source of commercial grade and gem-quality ruby since 2009. Heat treatment of corundum (ruby, sapphire and fancy sapphire) has been done for centuries, and it is estimated that over 95% of corundum in the market place has been heat treated. 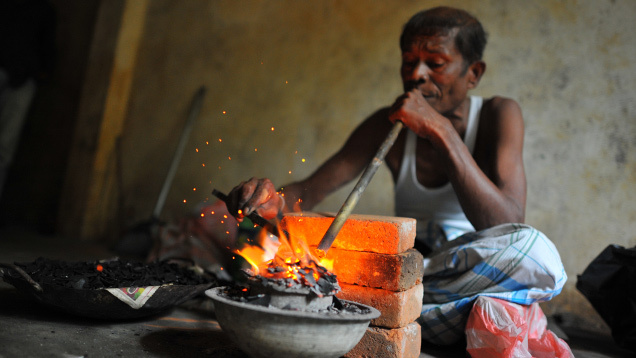 Heat treatment of gemstones is done with primitive to highly sophisticated methods. Sri Lankan “burners” (shown) have become adept at low-temperature heat treatment of ruby and pink sapphire from Mozambique that reduces the blue color component and enhances the red or pink overall hue of the stones, making them more marketable. GIA has issued a statement that even low heat treatment of corundum can be detected in the GIA labs using high magnification with fiber-optic lighting and FTIR spectroscopy. Pink gemstones have been popular since Ben Affleck proposed to Jennifer Lopez back in 2002 with a 6.1 carat pink Harry Winston diamond engagement ring estimated at $1.2 million. While pink diamonds and pink sapphires top the list in pink stone engagement rings, morganite (shown) is a standout affordable alternative and making its mark. Currently, morganite (the pink variety of the beryl gem species, named to honor American financier and gem enthusiast J.P. Morgan – aquamarine is the blue variety of beryl, and emerald is the green variety of beryl) is “selling like hotcakes” according to gemstone dealer Simon Watt of Mayer & Watt. Morganite’s rosy color and hardness make it a good ring stone, and Pantone’s naming of “Marsala” the color for 2015 has increased demand for this lovely stone. 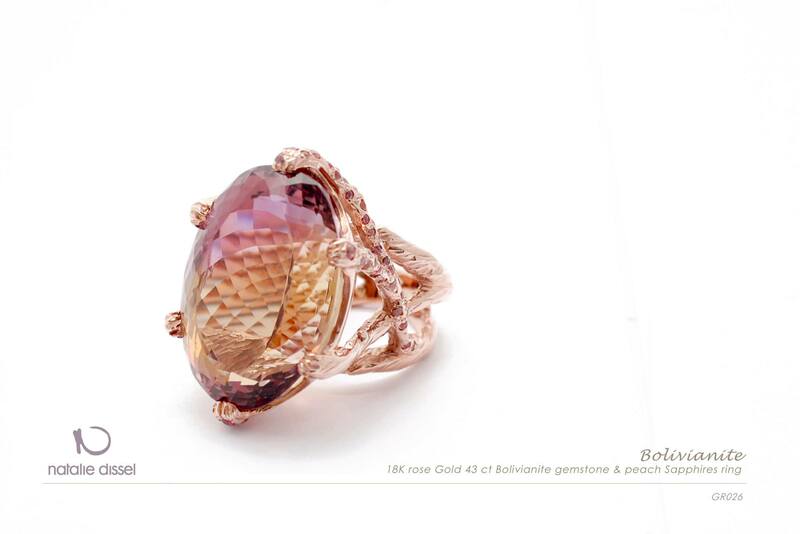 Morganite’s color range includes pink, rose, peach and salmon. Most morganite in the marketplace is uniform in color, a pretty peachy-pink as a result of heat treatment to enhance the pink hue and reduce brownish tints as well as yellow or orange tinges. The treatment is stable under normal conditions and is not detectable. While Madagascar and Nigeria mines yield good natural color morganite, production from these traditional sources has dwindled. Currently, Brazil is the largest producer of morganite. 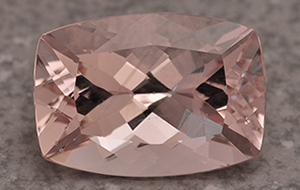 Brazilian morganite responds well to treatment to enhance the overall pink hue. The price of morganite has skyrocketed over the past few years for both natural and treated stones due to the fact that demand is up and supply is down. While more of the vivid pink morganite has entered the market this year, the peach color remains popular and there has been a tremendous increase in demand for peach sapphire. With pink and peach gemstones increasing in popularity over the past 5 years, dealers see no waning on the horizon and are predicting that these colors are not a mere fashion trend but establishing an iconic place in colored stone jewelry. With no date announced, Blue Nile confirmed that it plans to open a “small space” in Roosevelt Field, a mall in Garden City, Long Island, New York. The brick and mortar spot will allow customers to see and try on Blue Nile jewelry. At least initially though, purchases will be required to be made online and not in-store. Blue Nile will be located near Macy’s and Lord & Taylor (not yet open). 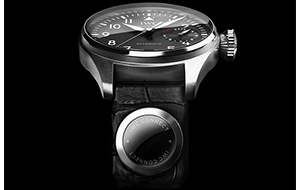 The “IWC Connect” is not a standalone smartwatch – it is digital technology with motion-sensing and bluetooth capabilities embedded into the strap of IWC’s Big Pilot Watches (shown). There is no screen on the IWC – instead, it connects to smartphone software that allows it to link with other devices. CEO George Kern indicated that the goal was “to develop an elegant, aesthetically complementary solution that eliminates the need to have additional devices on the opposing wrist to your IWC.” No word yet on date of launch or cost. Macy’s, the company that operates over 880 stores across the country (45 states and DC) plans to launch an off-price outlet division called “Macy’s Backstage” this Fall. Four 30,000 square foot pilot stores are designated to open in New York City, offering clearance merchandise from Macy’s full-line stores as well as special discounted purchases from select Brands. Products will include fine jewelry, clothing, shoes, fashion accessories, and housewares. The “Macy’s Backstage” pilot locations are Sheepshead Bay in Brooklyn, Queens Place in Elmhurst, Queens, Lake Success Shopping Center in New Hyde Park, and Melville Mall in Huntington. The stores will have free Wi-Fi and one pilot store will include a cafe. Macy’s Backstage is designed to delight bargain hunters not only with incredible prices, but also with continuously updated merchandise focused on current fashion and an enthusiastic customer-focused sales staff. 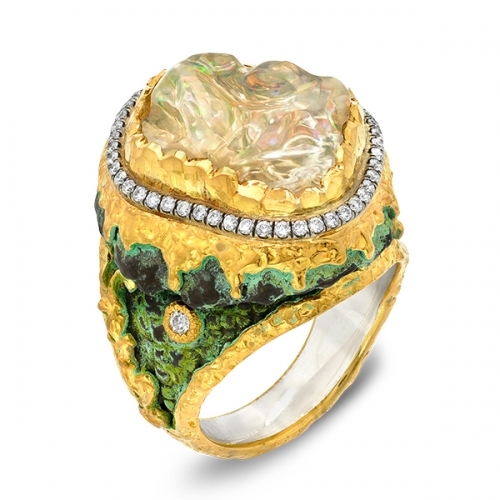 2013 and 2014 were banner years for unprecedented record prices paid at auction for high-end jewelry and rare gemstones. While 2015 is slightly off from this peak, record prices are still being set in the high-end jewelry markets. 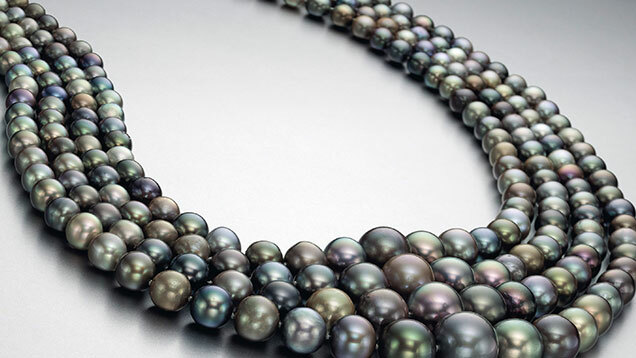 At Christies, an Asian buyer paid a record price of $5.1 million for a 4-strand natural color pearl necklace (pictured). While high-end jewelry sales are exploding with record prices, the latest statistics from Jewelers Board of Trade (JBT) showed that in the United States and Canada, the number of retail jewelers, repair shops, wholesalers and manufacturers that closed business operations first quarter of 2015 was up 40% from 2014 figures, and that this decline was anticipated to continue into second quarter 2015. Also in first quarter 2015, jewelry industry bankruptcies were up, while consolidations were down. What’s the major causes of the shrinking US jewelry industry? The obvious big factor is our still sluggish economy, and this crippling condition is coupled with the difficulty of continuing through successive generations by family-owned businesses, as many in the trade are – the next generation of family owners is lacking. For stores not counting on continued family ownership, there is difficulty in finding qualified help. Another hurdle for jewelry stores is the competitive pressure brought on by the economy, including the need to manage several social media accounts as well as internet sales platforms. Some tired business owners have decided to liquidate and move onto the next chapter of life. One of the most well-known stores to close this year is Fragments in NYC’s SoHo neighborhood. Owner, Janet Goldman, indicated that rents in SoHo have become untenable. 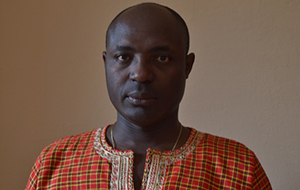 The trial in Luanda, based on criminal defamation charges stemming from de Morais’ 2011 book, began on March 24th and has been adjourned until May 14. If convicted, de Morais faces jail and more than $1 million in fines. Amnesty International USA has been advocating dismissal of all charges, and a spokesperson has indicated that most of the complainants (two mining companies and seven generals) are working toward a settlement with the journalist, but that one of the mining companies seeks trial and has so far refused to enter into settlement negotiations. Several days before his trial began, de Morais was in London receiving an award for his contribution to free speech by the organization Index on Censorship. Some giants in the jewelry industry, including Tiffany & Co. and Chicago independent Leber Jeweler, have made public statements in support of de Morais, urging the Angolan government to drop its case.